On a recent trip to Morocco, I noticed that there was an abundance of oranges. Seville orange trees, fantastic fresh orange juice at breakfast, and offerings of sliced orange topped with cinnamon as a dessert option (which I did not order, as pastries beckoned). Dates were also widely available in many varieties. Mint tea was a beverage of choice for refreshment of the palate and to aid digestion. Orange, date and mint, tastes of Morocco. 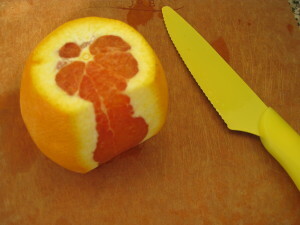 Slice the top and bottom off the orange, then remove the skin following the curve of the orange. 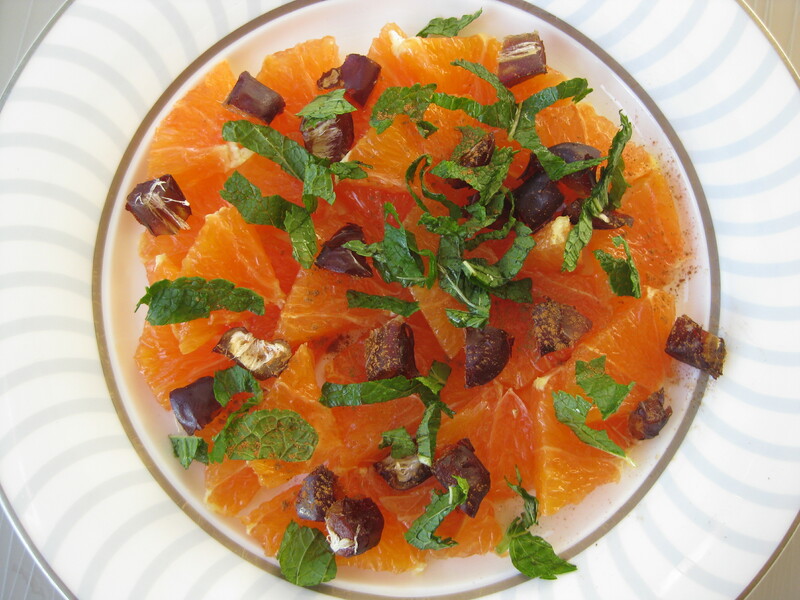 Slice orange across the segments and arrange on a plate. Top with chopped dates, sprinkle cinnamon to taste, then top with chopped fresh mint, and enjoy.